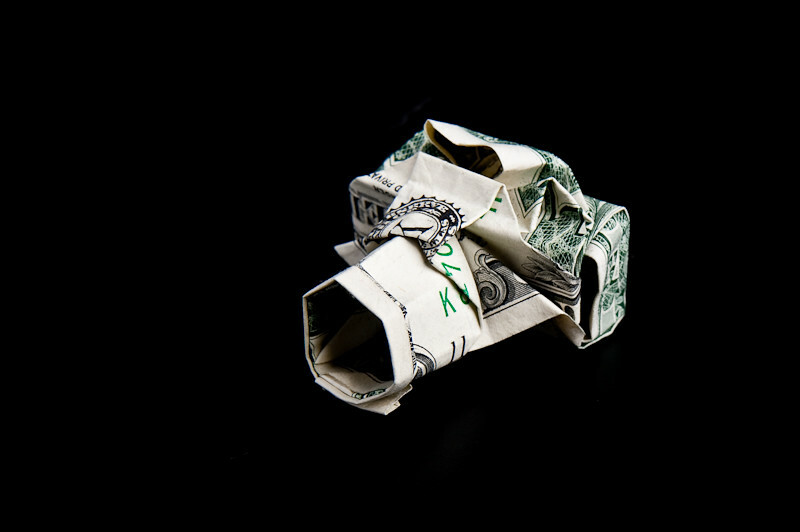 I wanted to see if I could make an origami camera out of a dollar bill. After searching online I found a set of instruction of how. This is how my first attempt turned out. Very creative with making the camera dollar and well shot. Gasp! The horror! The Feds will be knocking on your door soon to arrest you for defacing a dollar bill. LOL!!! Great attempt though.